Anyone who has ever gone to a Marvel screening event knows how tight their security is. With electronic detectors and night-vision-equipped security officers being introduced as S.H.I.E.L.D. Agents, they like to keep their stuff secret. So you could image how upset they were when their teaser trailer for Avengers: Age of Ultron was leaked a week before it was set to debut. Sure they joked about it at first with tweets like “Damnit, Hydra”; but considering it was kept secret for months after San Diego Comic Con, it’s a little annoying to have the rug pulled out from under you less than a week from you planned debut. Well the leaker might as well be Hydra, because Marvel Studios and Disney are hunting him/her down right now. Why? Because if they can’t protect their footage from being leaked, you can be damned well sure they’ll avenge it! Thanks to court documents obtained by Mashable, we’ve learned that Marvel Studios has requested information regarding the IP Address of a Google Drive user named “John Gazelle”. Whether a real or fake name, it is believed that this address was the initial source that leaked the trailer initially. The request was granted and now Google must appear with the information in court on November 18th. Meanwhile over at Marvel Studios – when the footage was leaked initially – security personnel rushed the editing room where the trailer was being handled. Again according to Mashable, workers were ordered away from their computers so that their computers could be searched to see if any showed signs of leaking the unfinished trailer. Disney/Marvel apparently has an idea who has done it/the person behind “John Gazelle”, but decline to comment until certain. As someone who personally waited months to find a leaked version of the San Diego Comic Con footage, I honestly have to side with Marvel Studios/Disney on this one. We were told the footage would be released and merely had to wait a simple week to see it. Leaking the trailer when it did is kind of a slap in the face to Marvel’s always fan-loving actions. If the trailer was ‘to never be released’ like the SDCC footage, then sure. Though as a trailer that would be a world premier that would be shown in a week’s time, the leak was unnecessary. More so, the leak hindered a huge episode of Agents of S.H.I.E.L.D. – during which it was set to premier. Sure it was a great episode and still showed off some exclusive footage; but it wouldn’t be as much as it would have if the trailer premiered during it. The Avengers: Age of Ultron trailer set records as it was, so imagine what it’d been like if it premiered as scheduled. This might seem excessive to some people, but Disney/Marvel just want to cover their bases and make sure all possible leak sources are taken care of. 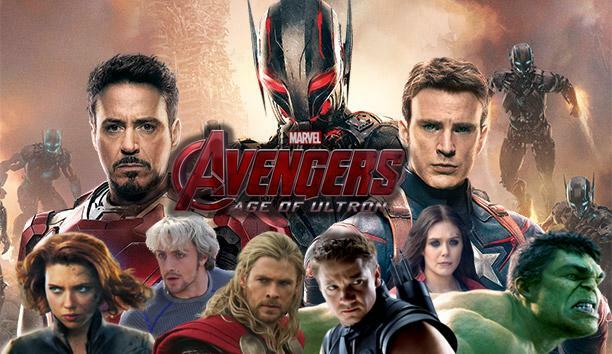 Imagine if someone leaked the Avengers: Age of Ultron film in its entirety before it released. Marvel Studios has always shown itself to love its fans and value their opinions. So if – GOD FORBID – something like that were to happen, what would you rather watch: the grainy leaked version or the official version given to you by the studio that has always given us everything we want and more?